Cutting Carbonfiber, is it possible? And if anyone else has any ideas to make the best Cnc machine ever we'd love to hear them . Titanium is a distant second place to Unobtanium, but I hear it is having supplier related problems at the moment. CF and Ti are both very springy and that's not great for a CNC machine. What you need is something very rigid and inflexible, like stone. If you need something lightweight as well to get high performance you could use some type of hollow structure made from artificial "cast-able" stone like epoxy granite. Or box section aluminium for lightness combined with some partial fill of a rigid material like epoxy granite. All the big machine tool builders have settled on cast iron as the best material for numerous reasons. These are builders who sell the machines for over one million dollars per machine. There is a tendency by some to try to reduce the weight/mass of the machine tool but this is exactly the opposite of what makes a machine tool effective. Generally, cutting performance is what matters most, not speed. If it needs to position faster, bigger servos are used. Carbon fiber can be stiff if the fibers are arranged carefully but still lacks the mass machine tools require to dampen vibrations from cutting tools. Titanium, although lighter than iron, is not as rigid. And again, there is less mass to dampen vibrations. The machines that can benefit from lightweight components are those where no cutting forces are involved such as laser, plasma, and water jet. I would agree with the others here that mass can be your friend. As far as titanium, it is lightweight and strong, but also springy and resonant. There's a reason that to this day cast iron is used, for it's excellent vibration damping properties and strength. Anyways if you had the resources, you'd probably be able to have your machine made of cast iron and all bearing surfaces hand scraped, got the heaviest duty linear roller bearings, ground ballscrews, and drive them with powerful and fast servos. The high end machining centers are capable of moving 1-ton blocks and more at ridiculously high speeds... DMG has a 134HP spindle available for one of their machining centers. The sky's the limit! the cnc plasma table i built here in my shop, at first was built lightweight. I had issues with vibrations as the gantry moved and changed directions. few tons of steel added later to the table and beefed up the gantry substantially also increasing the motor size..problem solved, now i can change directions at 360ipm with no hint of vibrations in the water table weight is your friend! Guys, I like how there were a bunch of ideas you came up with: titanium, unobutainium, epoxy granite, cast iron, and aluminum. So in essence the two best materials are epoxy mixed with anything else and metals. You guys said there are two things a solid gantry should have, strength and weight, if I was a millionaire I would add one more, good looks ! There isn't one person who doesn't like the look of cf, I need to incorporate cf in the build at least on the outside. I've never worked with it, so suggest processes to add weight to a carbon fiber shell or to add carbon fiber to a metal or epoxy granite frame. 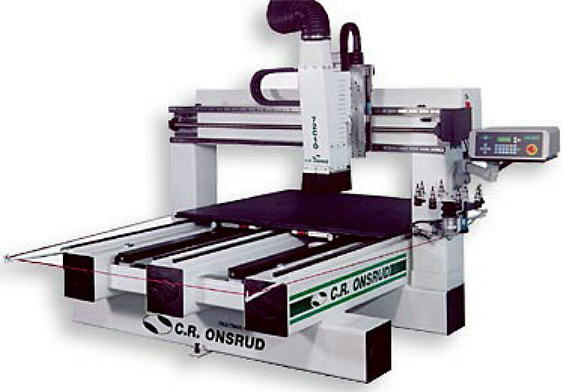 Also I want to here some other unique ideas to make the best Cnc router possible, I like the 134hp spindle . Last edited by flojor10; 07-15-2012 at 02:06 PM. I don't think you need to go as "tons of cast iron" unless of course you want to machine metals. As you posted in the Router Table Machines section of the forum I imagine you are talking about a high speed machine for routing wood and plastics, or maybe light cuts in aluminium? I think carbon fiber would just be a gimmick. I would stick to cast. Also concrete/epoxy machines have promise. Weight is your friend. When people say they want a "lightweight" machine all I hear is flex. carbon fiber might have its place in some CNC machines. Its high strength to weight ratio makes it more ideal for CNCs that need high speeds and lower overall machine strength, e.g. Dedicated wood or plastic cutting. Or if its used in a laser cutter it will be great.